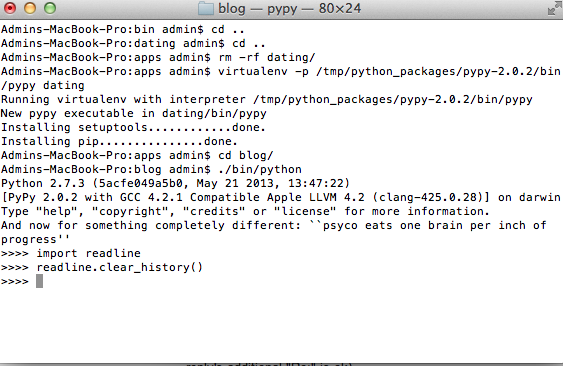 PyCharm's Python console fails when PyPy and iPython co-exist in a virtualenv created project. I created three virtual environment projects. I did not activate any of the virtual environments. So, the system python still exists as it is. Please be mindful that bin/python in any of the virtual environments points to the installed interpreter. For example, /path/to/sample_3/virtualenv/project/bin/python points to pypy and /path/to/sample_1/virtualenv/project/bin/python points to the system installed python. Seems like this is related to this. But, I am not sure. 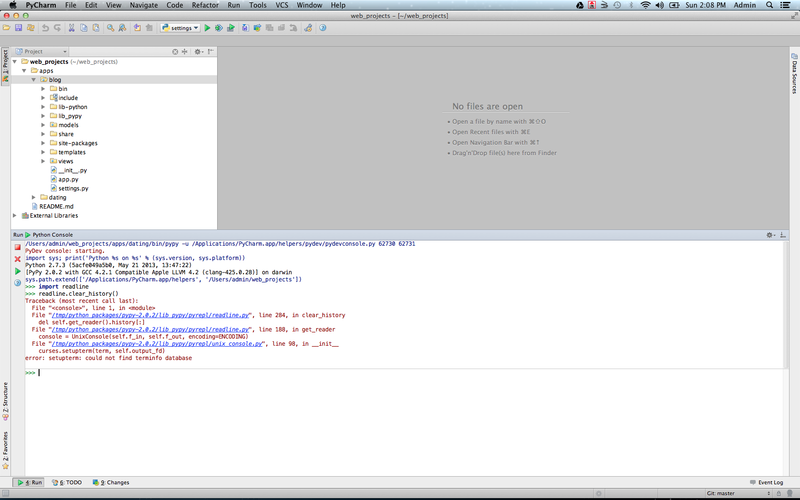 So, apparently PyPy's readline module seems to have the problem ONLY inside PyCharm. If I run the same command in the os x terminal it runs absolutely fine. So, we can't really blame PyPy here either.